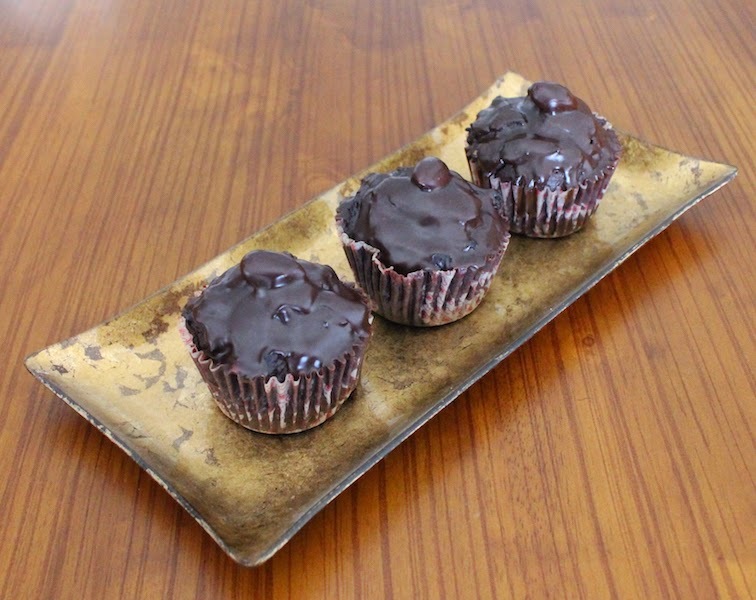 All the joy of coconut and almonds, baked into a dark chocolate cupcake, made easy to assemble by using the muffin method: one bowl of wet ingredients poured into one bowl of dry ingredients. What could be more festive or easier? 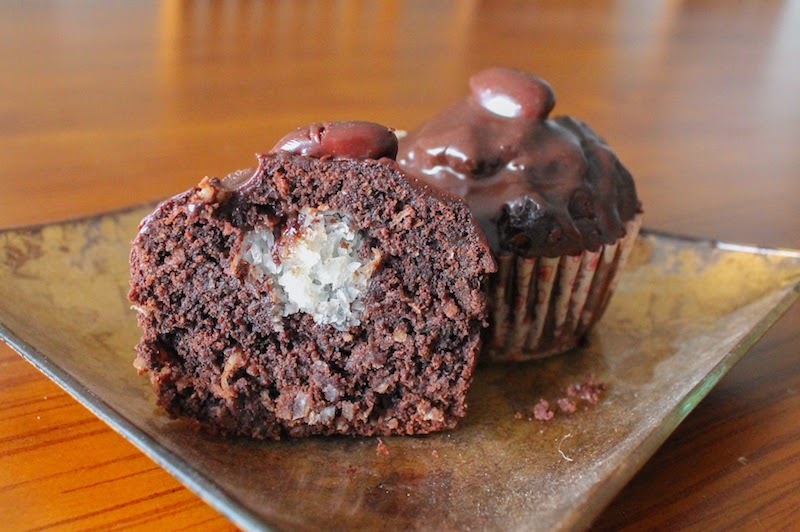 Every week on this blog, I celebrate Muffin Monday with a new muffin for you, sometimes sweet and sometimes savory. 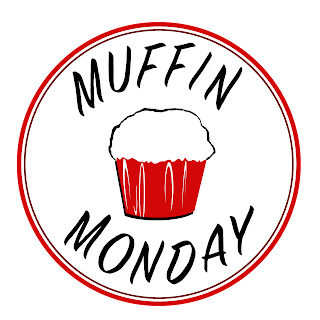 Muffin Monday is a made up holiday but that doesn’t make it less festive or important because if you can start your week out with something tasty from the oven, it’s going to be a better week automatically, than if you didn’t. 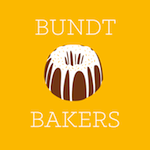 This week, I am joining a lovely group of bloggers for another made up holiday: Cupcake Day. After all, what is a cupcake but just a dressed up muffin? That really is the dividing line for me. 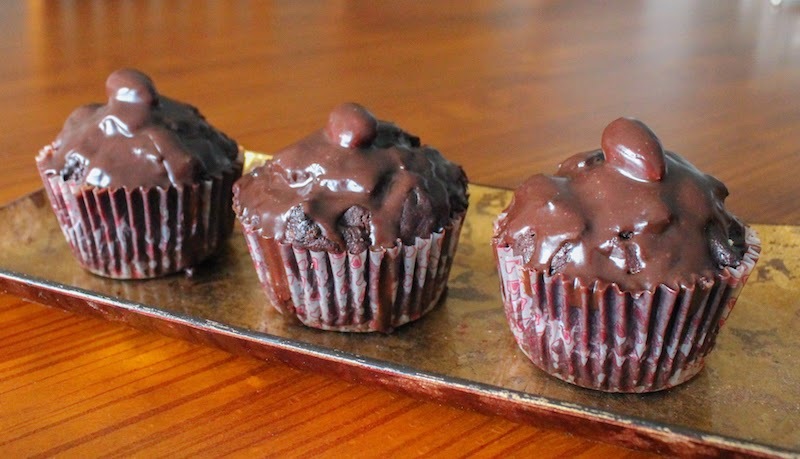 Muffins can be glazed but never frosted. A big pile of icing is reserved for cupcakes. For my Almond Joy Cupcakes today, I took the middle ground and topped the muffins with one toasted almond, as they do in Almond Joy candy bars, and poured a lovely heaping helping of semi-sweet chocolate ganache over the top, after stuffing the batter and the center with sweetened coconut flakes. 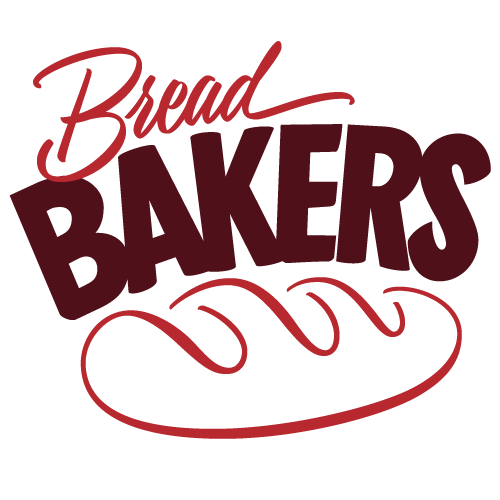 Many thanks to Coleen from The Redhead Baker who spearheaded this fun celebration and handled all the hosting responsibilities! 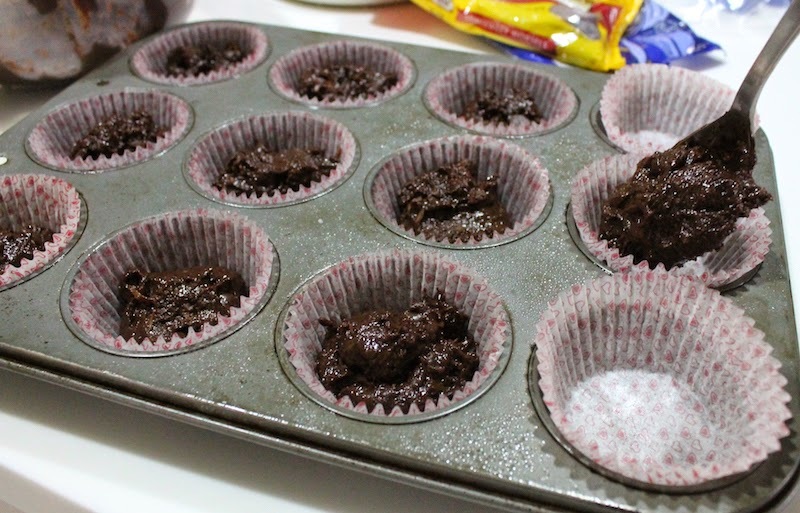 Preheat your oven to 350°F or 180°C and prepare your 12-cup muffin tin by spraying with non-stick spray or lining it with paper cups. 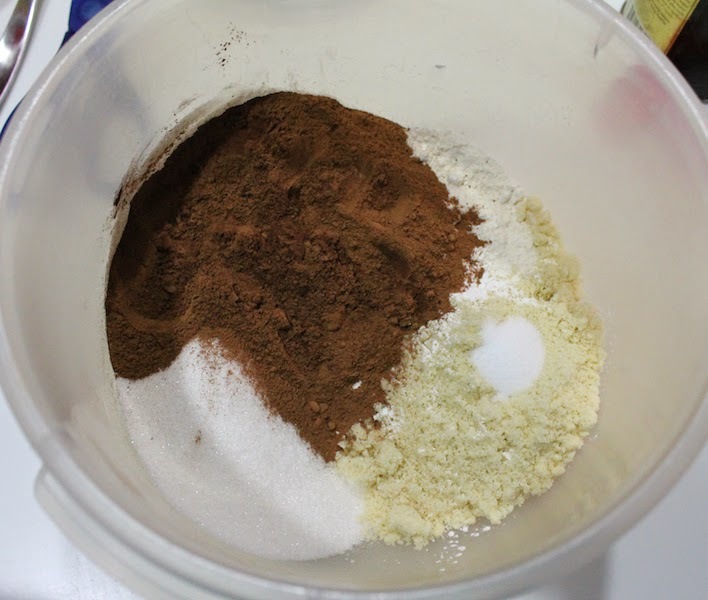 Combine your flour, ground almonds, sugar, cocoa powder, baking powder and salt in a large mixing bowl. 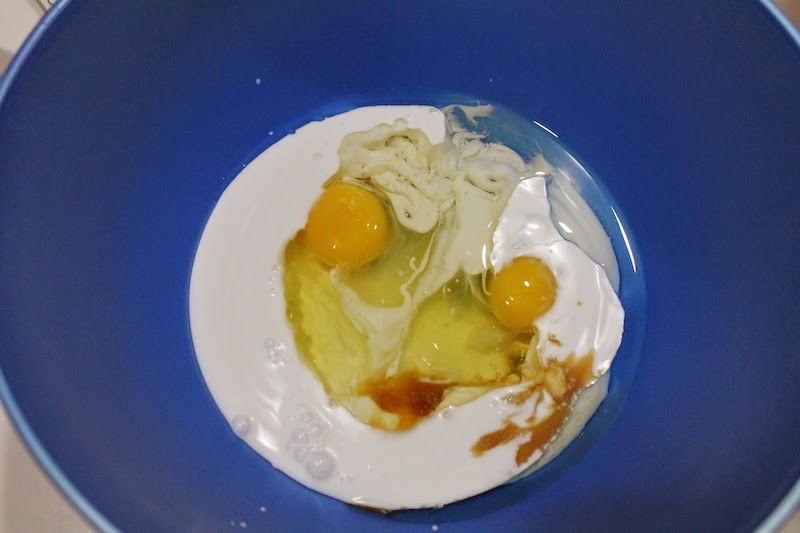 In another smaller bowl, whisk together your eggs, coconut milk, oil and vanilla extract. 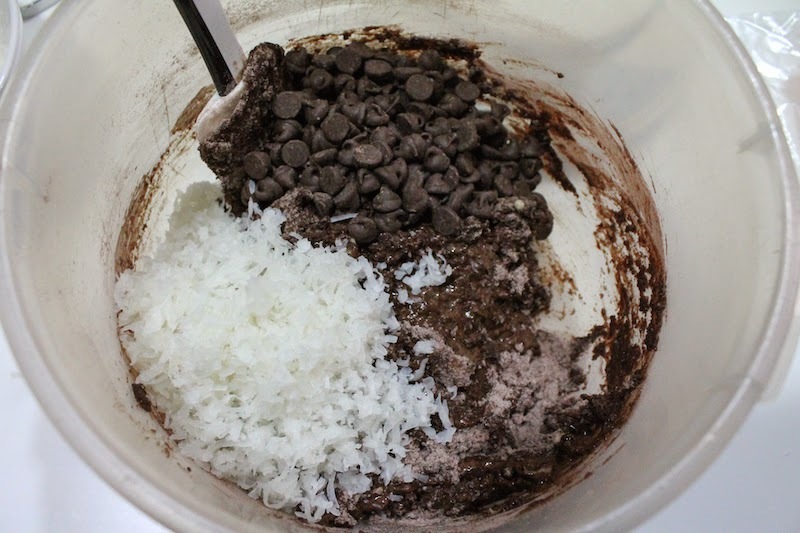 Add the chocolate chips for the batter and about half of the coconut. No need to measure, just eyeball. Stir until just mixed. Spoon half your batter into the 12 cups. 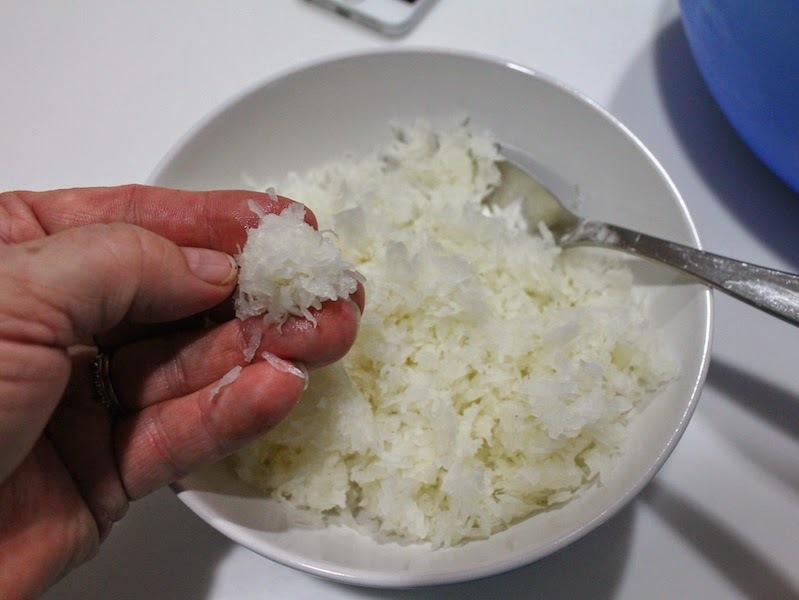 Use your fingers to make balls out of the remaining coconut. Tuck one in the batter of each cup. 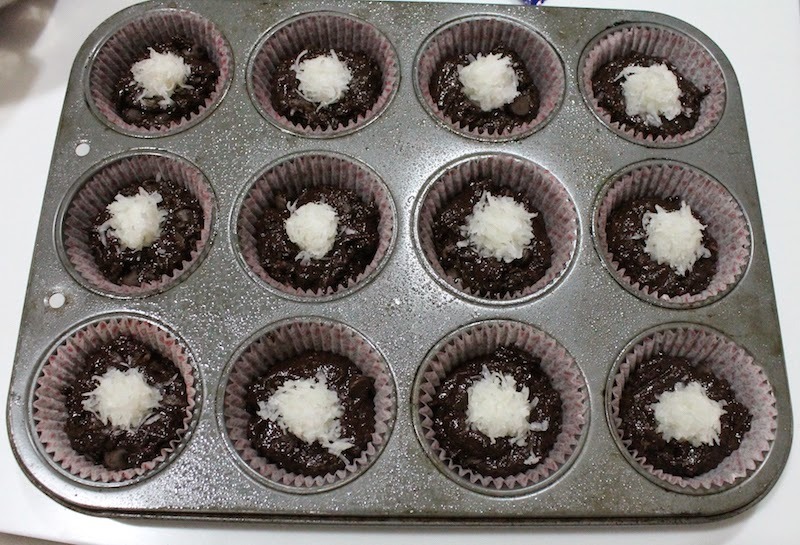 Top the coconut balls with the remaining chocolate batter. 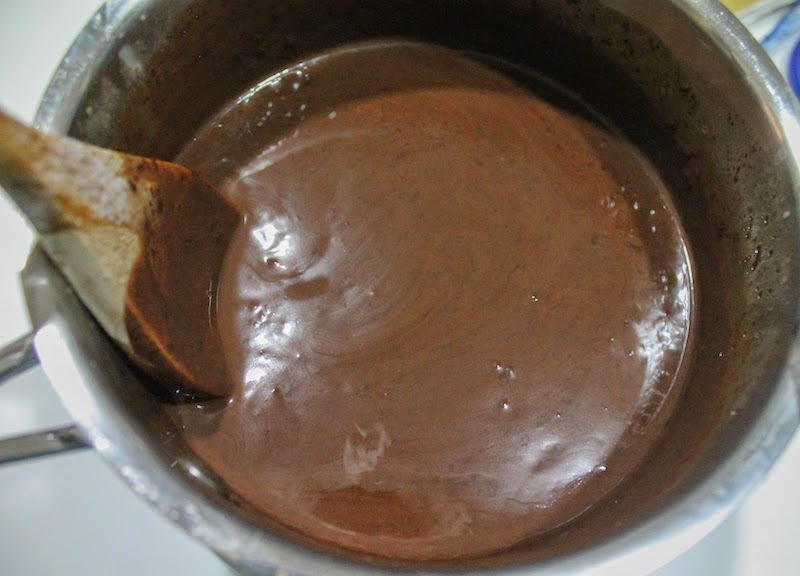 Meanwhile you can be making the ganache. Put the cream in a little pot or a microwaveable bowl and heat till just before boiling. 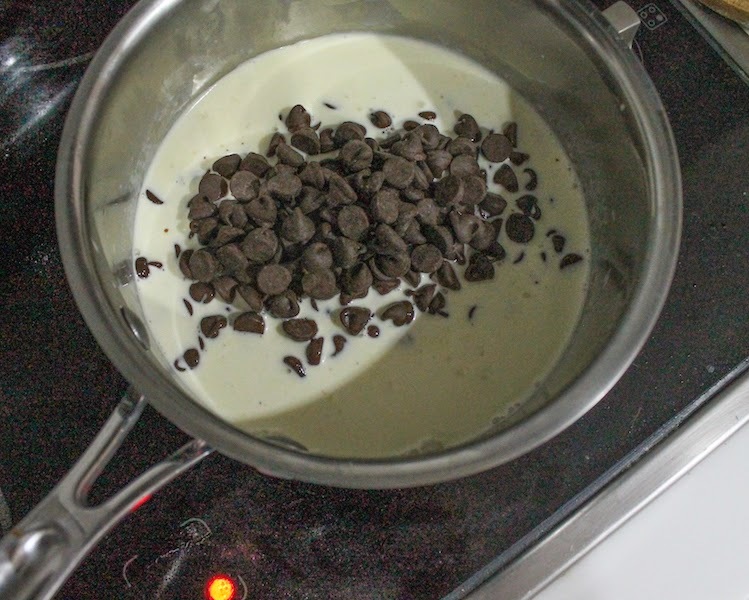 Remove from the stove or microwave and pour in the chocolate chips and the pinch of salt and stir until the chocolate is completely melted. Set aside to cool. It should thicken as it cools but should still stay a pouring consistency. 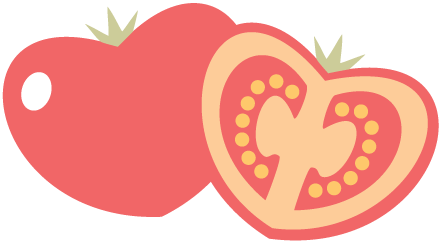 If it thickens too much, rewarm it gently. 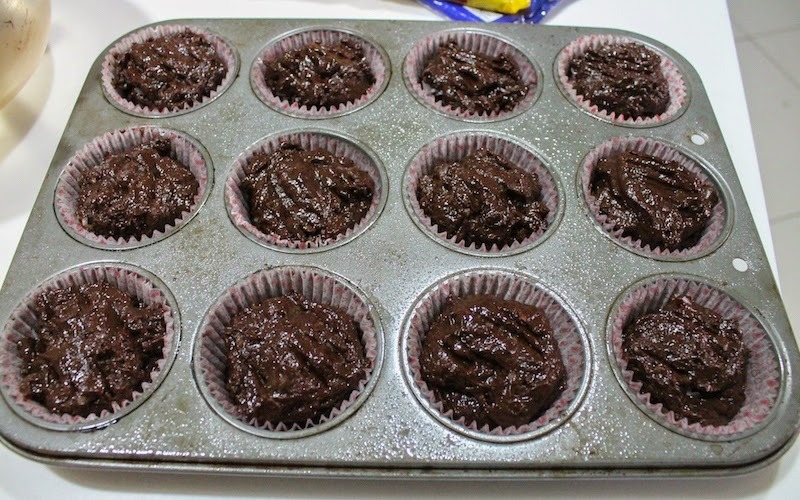 When the cupcakes are done, remove them from the oven and allow to cool for a few minutes in the pan and then remove to continue cooling on a wire rack. 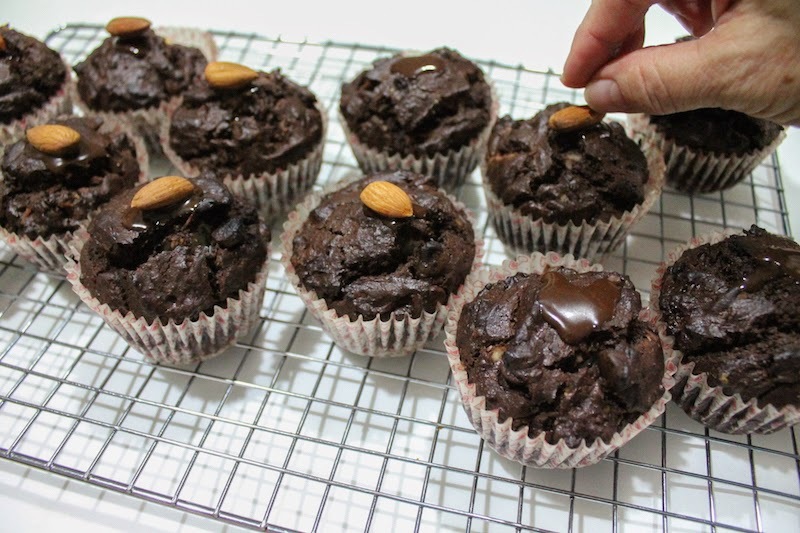 When they are completely cooled, dab on a bit of the chocolate ganache and stick one toasted almond on top of each. 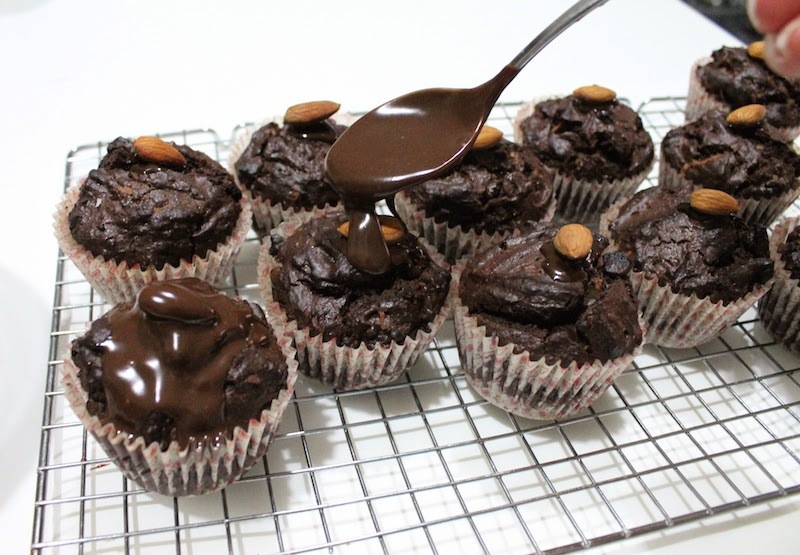 Allow to set a little then spoon on more ganache to cover the almond and the cupcake. Looking for ways to make this week even better? How about baking one - or many - of these 26 wonderful cupcakes?